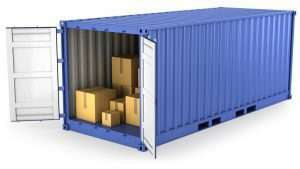 At Ballarat Containers we have a large range of new containers on site in 10′ 20′ and 40′ to hire on site. All are fitted with lock boxes. Are you looking for a secure storage space to keep odds and ends from an overcrowded garage or shed? Does your business need a safe place to store old records, inventory or equipment? Are you relocating and need a storage option in the interim? Shipping containers all feature double doors and easy ground access for your convenience. Containers offer you the perfect solution to most storage problems. Shipping containers are strong, secure and weather and vermin proof which is perfect for temporary or permanent storage.